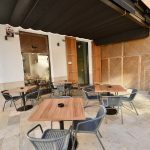 Restaurant for sale in City Palma Mallorca – Leasehold (Traspaso) – Price Reduced! 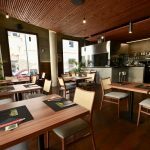 A trendy and modern restaurant offered for sale a leasehold business (traspaso) in the city of Palma Mallorca. A contemporary establishment, offered in perfect condition, located in a busy part of the city centre with easy access from the shopping streets and close to several car parks. For more information, please contact us to arrange a visit of this premises.